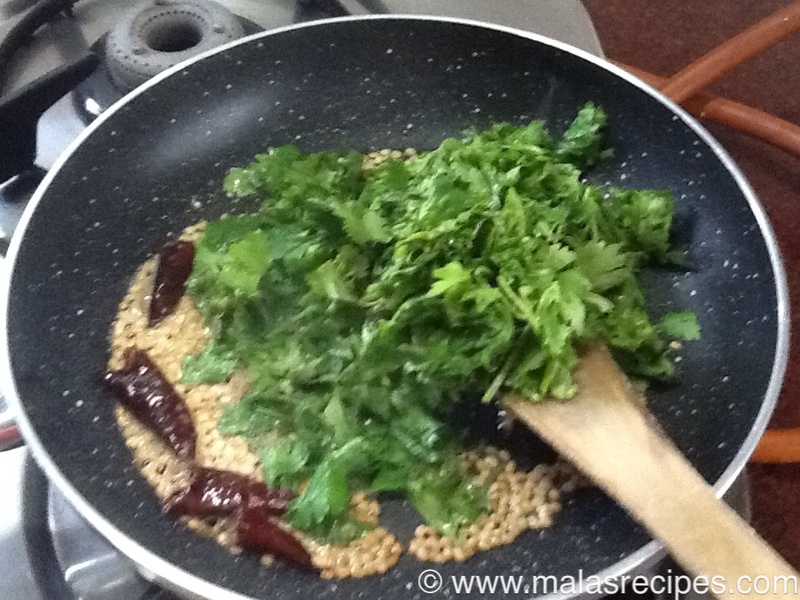 How can I, enumerate the goodness of Coriander / Cilantro leaves in a few lines??? It lowers bad cholesterol, increases good cholesterol, extremely good for digestion,, good cure for Alzheimer's disease, since it contains Vitamin K, is a powerful antioxidant, helps to treat mouth ulcers, prevents eye diseases, stimulates memory, helps people suffering from anaemia and treats diabetes too. Fresh raw coconut is rich in dietary fibres, fresh coconut cures mouth ulcers, has several minerals, helps prevent obesity, is a quick energy boost, in short, it is gluten-free, trans- fat free, and contains antibacterial, antiviral, antifungal and antiparasitic healing properties. 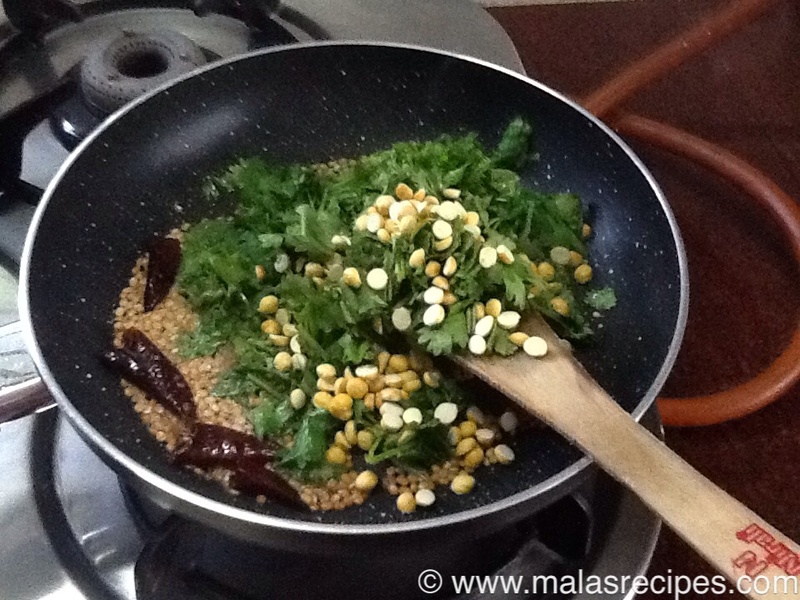 So, I have mixed these two above mentioned healthy things in a Chutney. 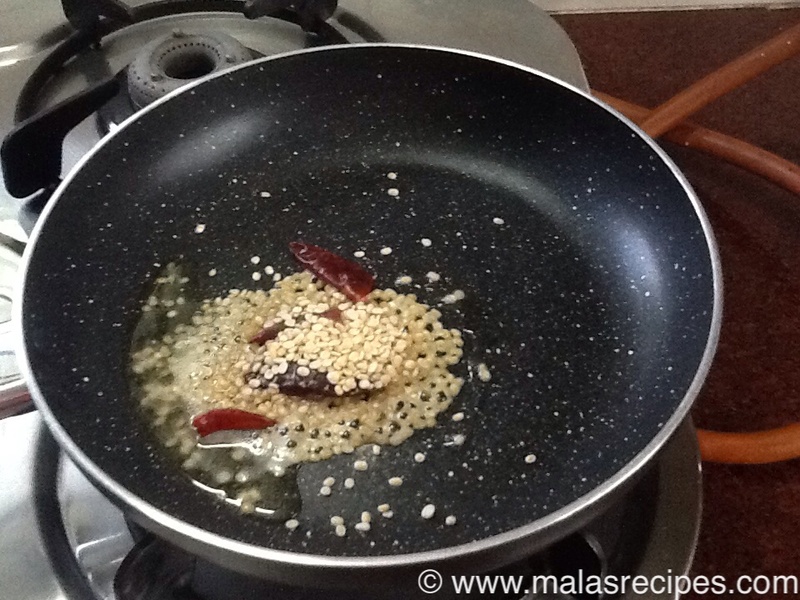 In a pan, add oil, add hing, urad dhal and red chillies. When urad dhal turns golden, add coriander leaves too, and stir well, keeping on low flames. Lastly add the fried gram dhal too.Add salt. Switch off, and after the above mixture cools down, grind with coconut to a Chutney. It can wither be thick or a little watery in consistency, according to your preference. 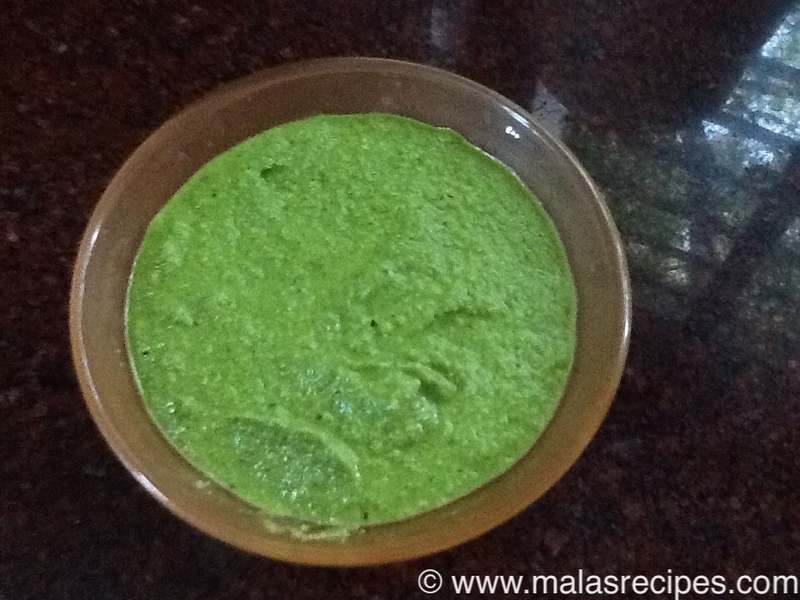 Serve with Dosas, Idlis or Vadas. * You can season mustard seeds if you want to.